Uglyworld #793 - An Appointment With The Devil, originally uploaded by www.bazpics.com. 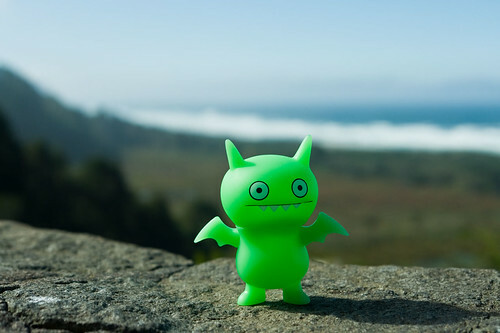 As we reached the seaside village of Garibaldi Ice-Bat kept drawing our attention to the time, "You does realises that I has an appointments with the Devils, yes?". It was clear that the little guy was getting a little anxious about what would transpire at the Devil's Punchbowl later in the day, but thankfully handing him a cookie seemed to take his mind off of things for a while.